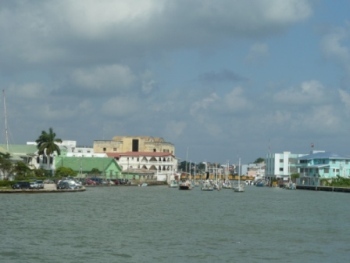 Belize City, Belize was an English-speaking harbor town with a mix of Latino-British culture. 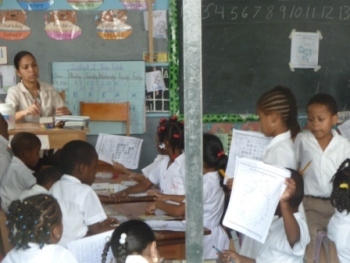 School children in uniforms learned Spanish and English in all subject areas. 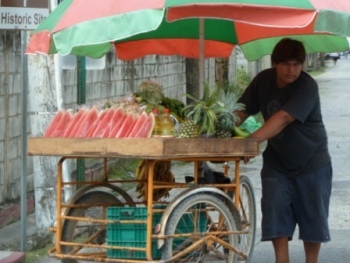 Fruit vendors wheeled their products through the dusty streets. 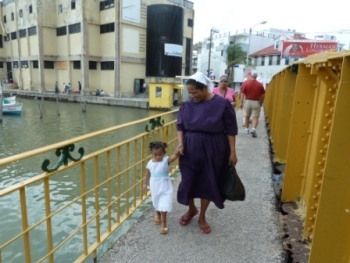 But despite the city grime, many children were dressed in white. 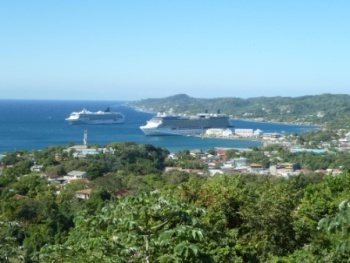 The beauty of Roatan, Honduras was apparent immediately. The green hills filled with lush, tropical plants rose up from the sea. 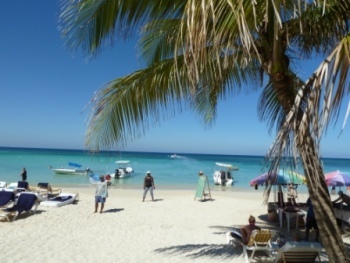 Our taxi driver took us to West Bay, where we were able to snorkel in some of the tallest walls of coral we have seen in the Caribbean. 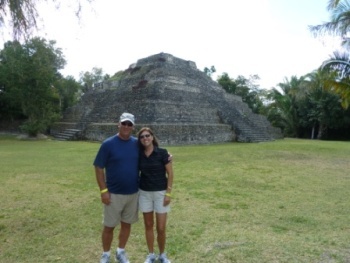 In Costa Maya, Mexico we took a private tour of the ruins of Chacchoben. Our guide, David, was a Mayan indian born in a remote village in Belize. His mother was the shaman (medicine woman). He showed us many plants and herbs and their uses. 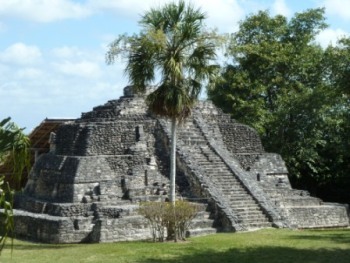 The restored Mayan temples were excavated by a local family and now are open to the public. 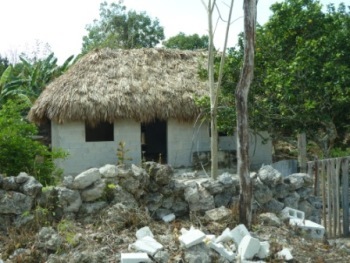 The nearby Mayan village of Chacchoben still has houses built with traditional materials. 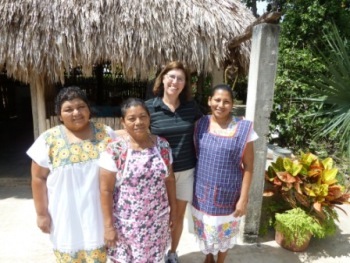 We were able to meet several women (all a head shorter than Vicki), who made a lovely lunch for us. 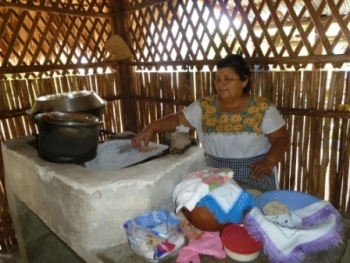 . .
taught us to make corn torillas using a comal placed over a rosewood fire. . . and showed us the ingredients they used. 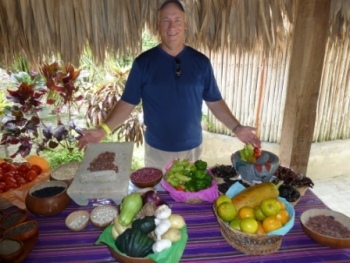 All of the fruits, spices, vegetables and meats came from their yard.